Hello Frndzzz.... www.dealsnloot.com Again Back With New loot App. 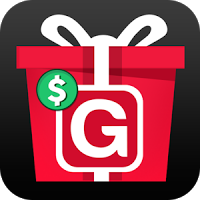 Grab Points Promo code Earn Free Paypal Cash : Download GrabPoints app and earn 1$ in 2 Minutes. GrabPoints highest paying the most popular rewards app is now on Android. 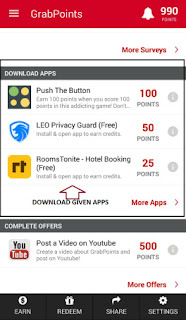 Grab points app giving 500 Points (0.50$) Per Refer. 1>Redeem your earnings by Paypal and Amazon.in gift card. 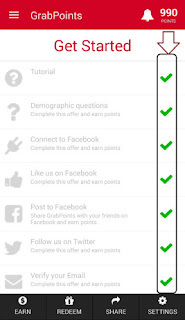 2>You will get 0.50$(USA) for each Referral. 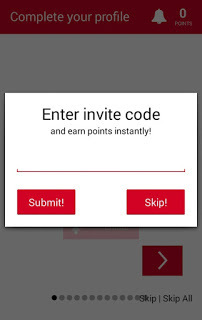 Invite code is required to get 0.50$ bonus. Now complete your profile by selecting your gender, entering your date of birth and other personal details. You will get 10-20 points for each these type activities. Upload your profile picture and get 50 points. 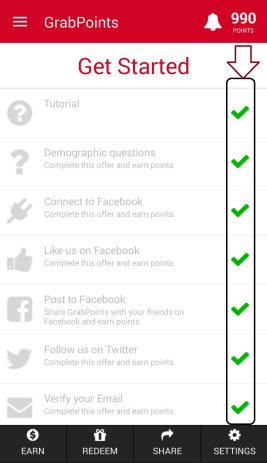 Connect your account with Facebook and get 100 points. Complete tutorial and get 50 points. Follow on Twitter and get 50 points. Now Your Total Point Will Be 990 like below after completing all tasks. 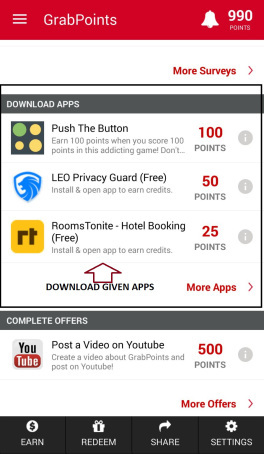 Now Download Some More Apps or Refer Friends To Get More Point and reach 3000 point. They adding new ways to earn every month! Make money or get free gift cards. 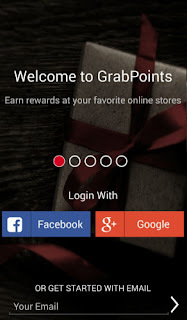 Note - Grabpoints App Unlimited Trick Post soon....Visit Again.